There’s no place you’d rather be than hiking up a mountain, paddling a river, or spending time at the campgrounds. For those times you’re away from nature, this tee shows where your interests lie. 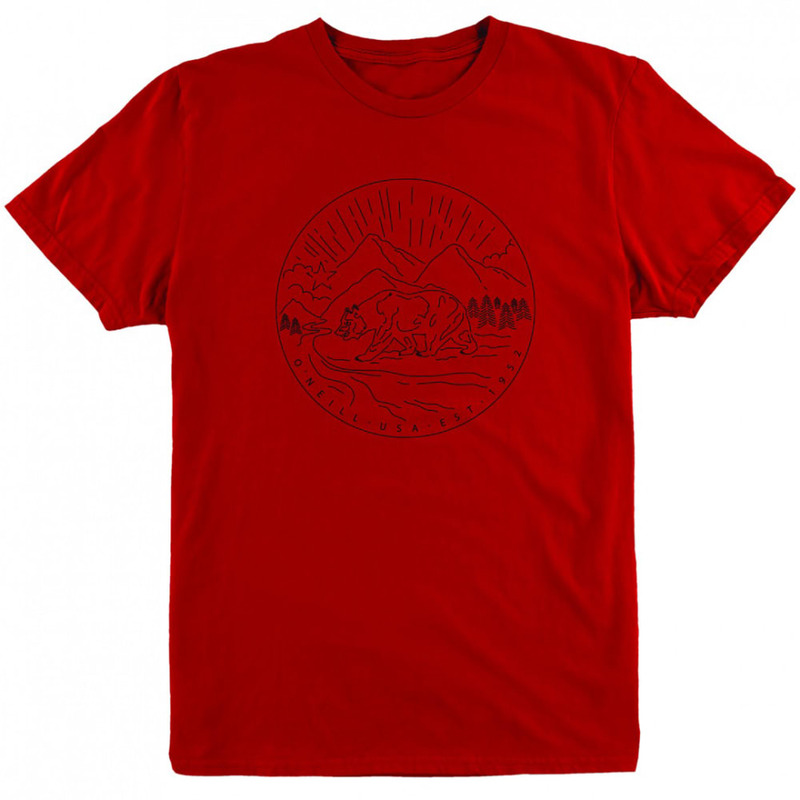 On a soft cotton body, Billabong adds a circle graphic depicting a bear, mountains in the background, and a flowing stream.